South Korean actress Shin Min Ah (신민아) attended the VIP premiere of 'Aging Family (고령화가족)' held on March 5, 2013 in Seoul, South Korea. 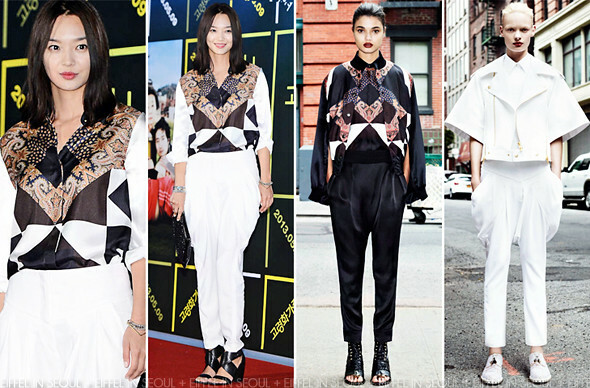 The beautiful actress wore a paisley printed patterned blouse and white harem pants from Givenchy Resort 2013 collection. Accessorizing her look with a black studded clutch and leather sandals. While I am not a fan of those pants, she pulled off the entire outfit. It's been a while since we last saw her on the red carpet and what a joy to see her once again in a Givenchy getup.